Oscar. Think of the world's top film award. 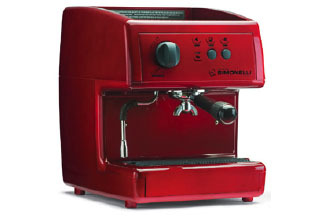 This espresso coffee machine is a real “performance”. Press the key and…camera, action: a perfect cup of coffee. Everything about this machine is special, starting with the professional filter holder. That means all the other parts are professional too. Oscar: the leading actor in your coffee shop or in your home. Direct water connection option. Pull-out groundsdrawer (1 litre), with position adjustable according to height of cups. Full-colour ABS bodywork (any scratches are invisible). Leading actor in your coffee shop or in your home.